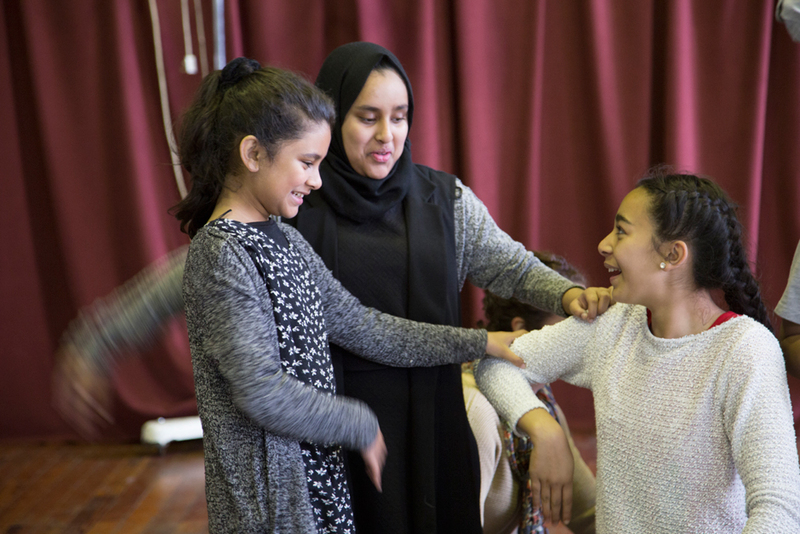 A contemporary theatre workshop for imaging stories and creating characters. Taking the Stage is a four-day performance workshop for young people aged 12-15. Participants will be introduced to creating and devising a character through costume and story telling. The workshops are led by lecturers in the Drama Department at Queen Mary University of London and artists at Stitches in Time. The project will take place between Queen Mary, University of London and Limehouse Town Hall. It is free to attend but spaces are limited. If you are interested email [email protected], or call 07811318498. This is a collaboration between the Department of Drama at Queen Mary, Stitches in Time and Limehouse Town Hall. Image credit: Christa Holka, Taking the Stage 2016.